My first brand new DSLR camera. I was not alone. The D100 was first announced on February 21, 2002, just before the opening of the PMA (Photo Marketing Association Annual Show) in Orlando. 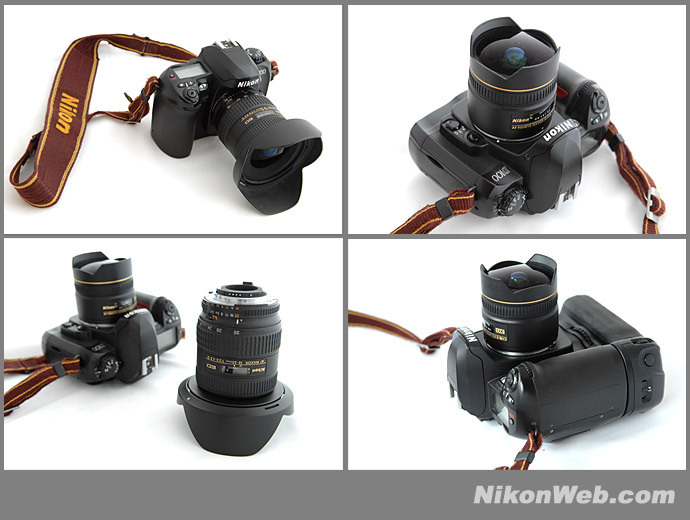 Being Nikon's first consumer priced Digital SLR camera, it attracted a lot of attention from the photographic community. It became immediately clear that Nikon had designed a very attractive and, relatively speaking, affordable camera. 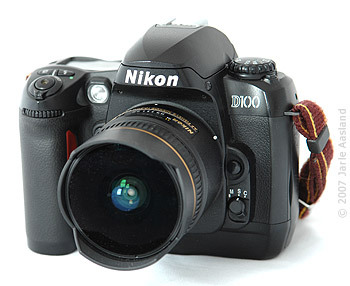 Priced at $1999 (in the US - I paid a lot more), the D100 became the second six megapixel DSLR to break the $2000 barrier, following the Canon EOS D60. 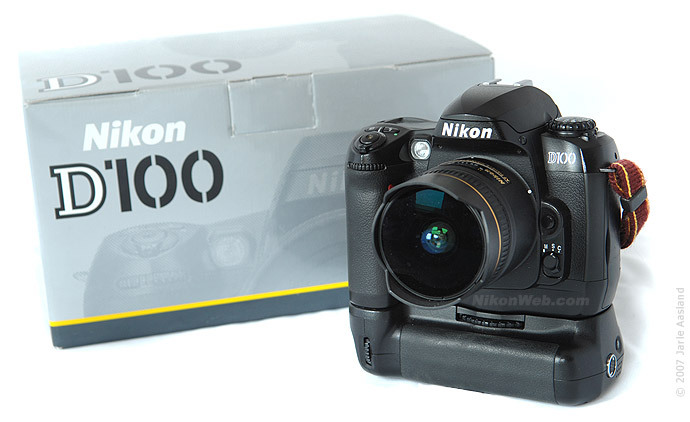 With its six megapixel (3008x2000) sensor, the D100 (later supplemented by the D70) was Nikon's highest resolution camera until the 12.4 megapixel flagship model D2X was announced in September 2004. The D100 was available until the summer of 2005, or so, when it was silently discontinued. There's plenty of technical information and D100 reviews online, so I won't repeat data that can be easily found elsewhere. I've provided a few links below. 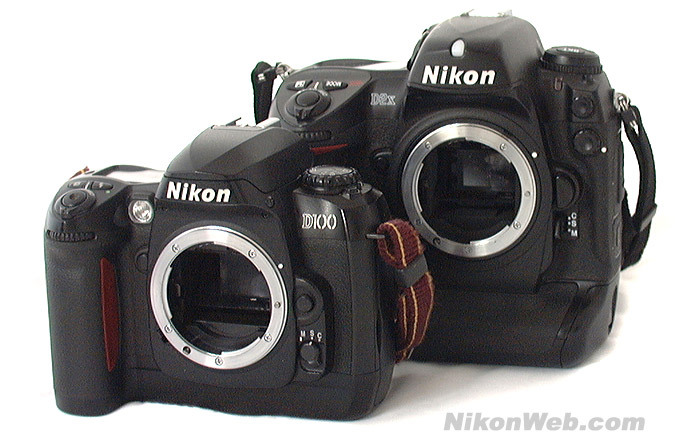 The camera body had much in common with the Nikon F80 (N80), but Nikon typically preferred to mention it in the same breath as the F100. This caused a bit of controversy among some people, as if it really mattered. Being a completely new digital camera, smaller than Nikon's previous pro bodies, the inside of the D100 had to be designed from scratch. 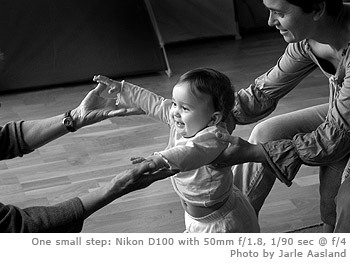 Tsutomu Wakabayashi , Nikon's chief designer and development leader for the D100, provides some interesting insight in a «Behind the scenes» article on Nikon's own web site. Interestingly, Mr. Wakabayashi was also the development leader for the F80 (N80). A coincidence? I think not. Anyway, it's easy to see the family resemblance with Mr. Wakabayashi's F80 (N80), and I think most people will agree that the D100 is closer to the F80 than the F100. Digital photography had come a long way. In just a few years, digital DSLRs started replacing 35mm film cameras. For real. I digress, but you get the point: The D100 was an important camera. Back in 2002 I was still shooting film with my old trusted F4, and having digital fun with a Coolpix 990. The 3.3 megapixel top of the line Coolpix was a decent camera, but it was no SLR. I knew it was only a matter of time before Nikon would release it's first consumer DSLR, and had decided to buy one long before the D100 was announced. Needless to say, I ordered mine shortly after the PMA announcement. I was one of the first people to get it, and I was not disappointed. The D100 was - and still is - capable of producing stunning images, but as many users would soon discover, the camera could take a little getting used to. For reasons already mentioned, the D100 was many people's first DSLR. Being used to oversaturated consumer cameras, or shooting film, some users complained about soft and dull images. Straight out of the camera, D100 photos often lacked the visual punch, contrast and saturation seen in the snapshots made with compact consumer models. However, the complaints didn't last long, as people learned to master the new tool. D100 JPEGs are typically considered to be a little soft, and people soon discovered the advantages of shooting RAW and post-processing their NEF files. 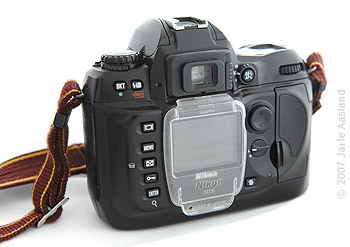 In fact, the D100 soon became a popular backup camera for many professionals. 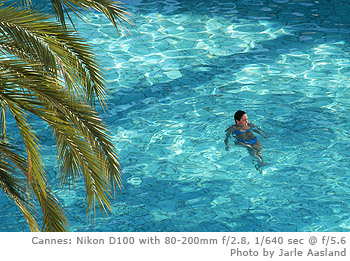 Many people actually preferred the image quality of the D100 over the D1X. The D100 also had a few features that surpassed those found in current pro bodies. 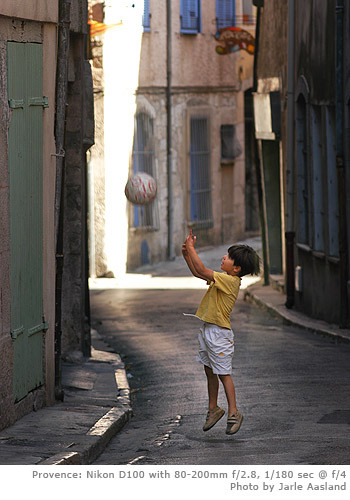 In the summer of 2002, Joe McNally convinced the editors of National Geographic magazine to allow him to shoot an assignment completely digitally. 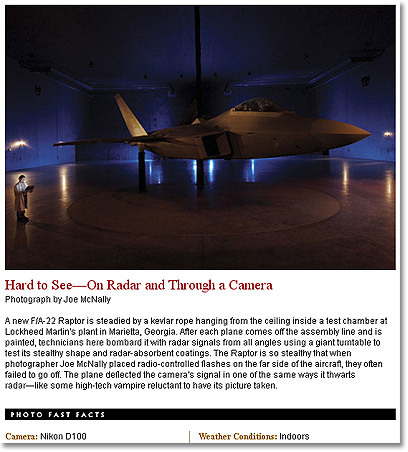 Photo above: Screenshot from National Geographic's web site, featuring one of McNally's D100 photos. Another great feature was the D100s excellent battery life. 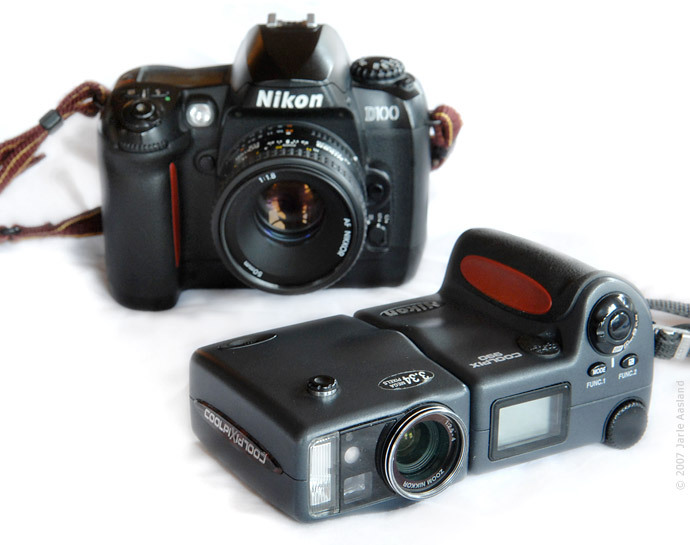 The early digital cameras were extremely power hungry, but the D100 just kept on shooting. In fact, its battery was so good that I didn't really need the (overpriced) MB-D100 multi-function battery pack I ordered with the camera. Oh well, it looks pretty cool, which is probably the main reason many people bought it. The D100 was a great camera when it was introduced (read the contemporary reviews and you'll see why), but it had its shortcomings. While considered fast at the time, it feels slow as molasses when compared to later models, like my current D2X, or the D200. The viewfinder and LCD screen is too small, playback is a bit slow, compressed NEF mode is unusable (no deal breaker, but still), the buffer is way too small, autofocus is too slow, and so on. On the bright side, image quality (when shooting raw) is just as good as it was when the camera was new. If it's good enough for National Geographic, it's good enough for most people. The D100 is still a nice camera, but it's been surpassed by newer and better models. Many people are still considering a used D100 instead of some later model (a relatively common question on many discussion forums). My advise: Buy one if you can get it dirt cheap and know what you're doing. If not, get a later model like a D200, a D40x, or even a nice used D2H (megapixels isn't everything). 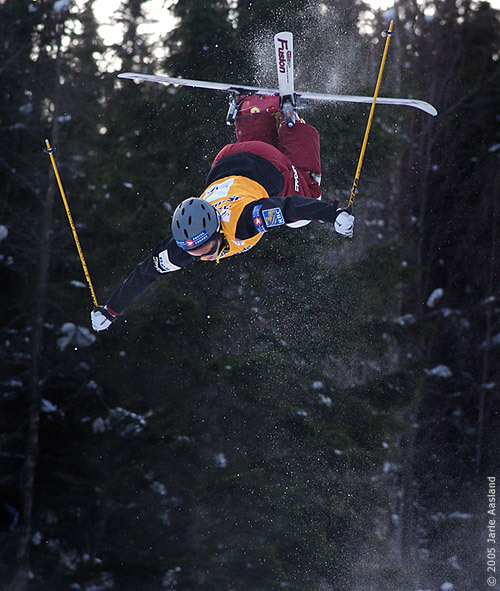 Also, if you've ever used a pro model like the D2X, there's no going back. The D100, in all its glory, simply cannot compete.